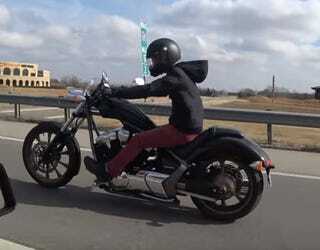 Riding a buddy’s Honda Fury VTX1300cX to lunch on Sunday because it was 70 degrees out (today it is 20). Appropriately, that’s a Harley dealership in the background. Lol.